Powerful water-based, non-acid, non-alkaline wheel cleaner for alloy, aluminium and steel wheels, designed to deep clean even the filthiest of vehicle road wheels, with a minimal amount of mechanical agitation. 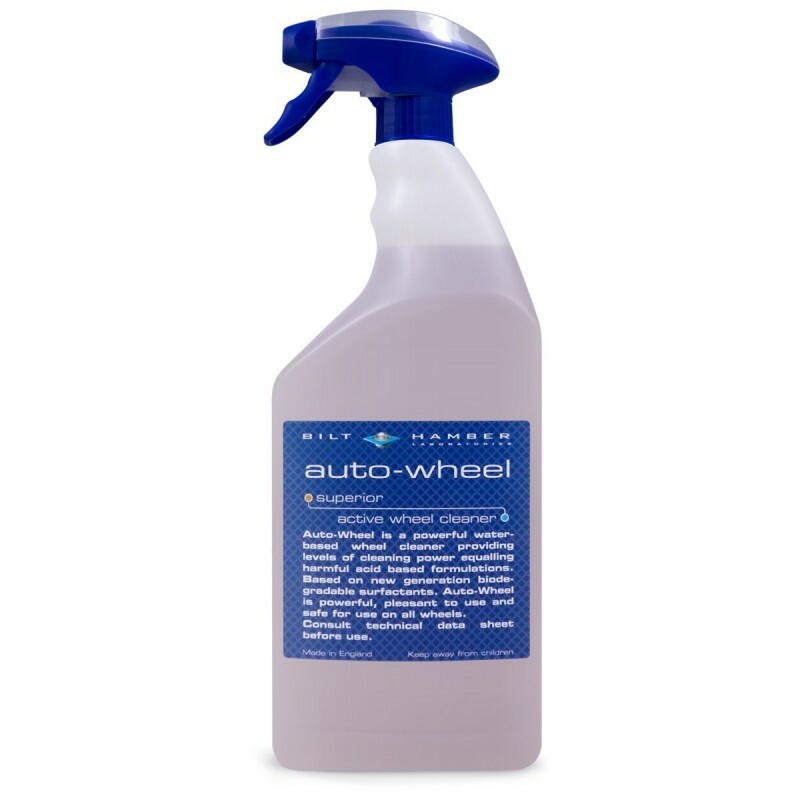 Bilt-Hamber Auto-Wheel is a pH balanced high activity wheel cleaner, designed to deep clean even the filthiest of vehicle road wheels, with a minimal amount of mechanical agitation. 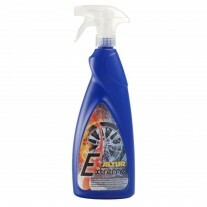 Acid based wheel cleaners are very effective but can attack alloy if damage to the protective lacquer occurs. 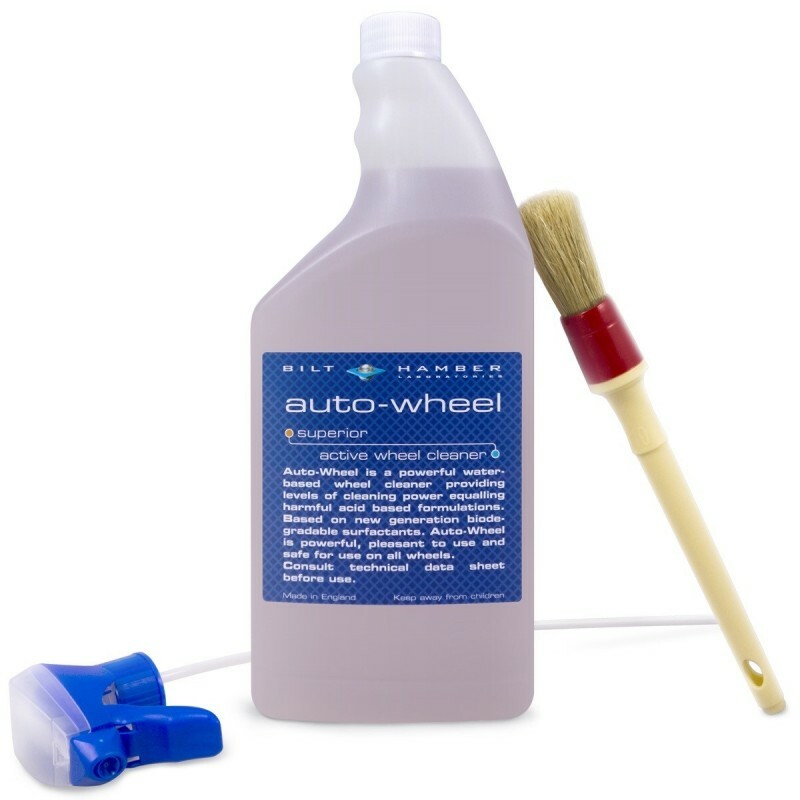 Similarly alkaline or caustic wheel cleaners can damage substrates in a similar fashion. Alloy wheels are bombarded by hot particles that are generated from the braking surfaces – the most destructive of these are metallic and iron based, while still hot they embed themselves by effectively melting their way into the lacquer film, thousands together make a rough and very convenient surface for debris to adhere to and are difficult to clean. Acid based cleaners are typically the most effective as they attack the metallic objects reducing their size which allows them to be released from the lacquer. 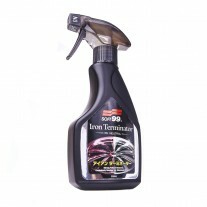 Auto-Wheel provides the same release function by using a unique chelating process that renders the iron particles water soluble this together with a strong degreasing action ensure auto-wheel provides safe effective wheel cleaning. 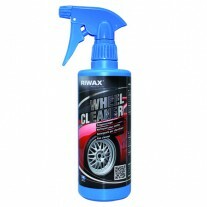 1 litre Auto-Wheel is supplied with a trigger spray. Always test on small scale before use in a discrete area (rear face of wheel) . 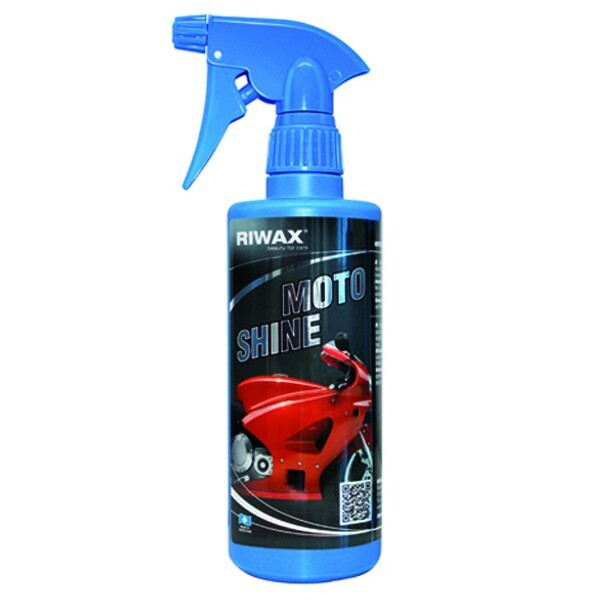 Spray liberally over entire wheel surface ensuring good coverage of edges etc. Reaction time is temperature dependent usually between 1 to 5 minutes is sufficient the chelating process is indicted by a change in colour from clear to deep purple. Once no further colour deepening has occurred the wheel must be power-washed or rinsed off, extremely dirty wheels will benefit from agitation with a soft brush before rinsing. 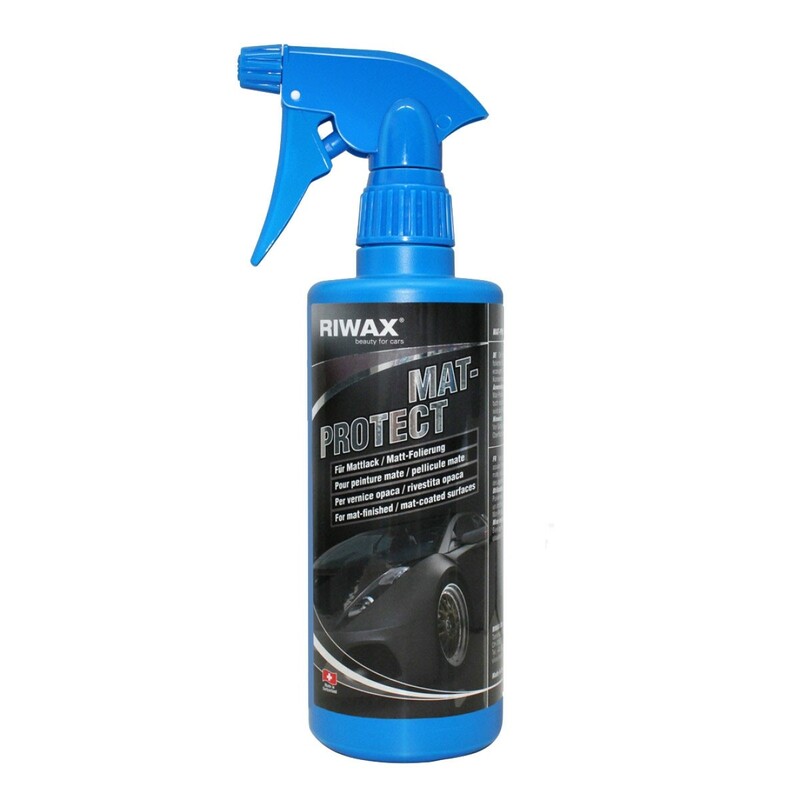 Auto-Wheel is safe to use on a wide range of surfaces including paints, lacquers alloys and steel, however small scale trial should be carried out before use. 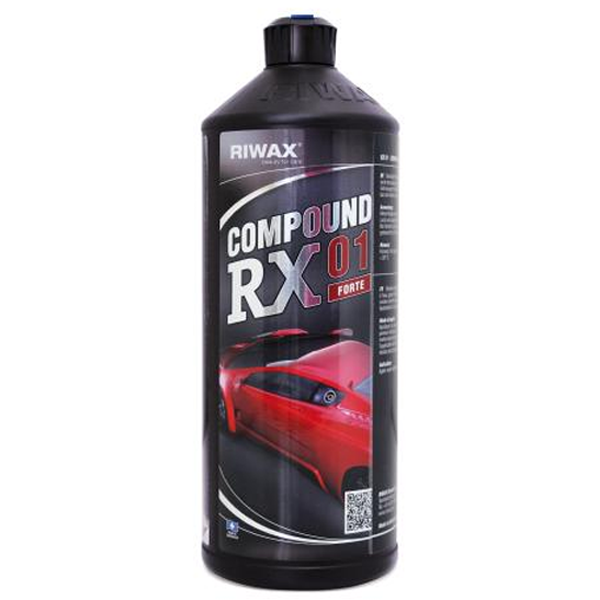 Due to the use of conductive films used to make chrome-look plastic surfaces or plate plastic wheel centres and films, these maybe chelated by the active material and dulled - please keep away from these surfaces.